I'm not sure if I'm alone on this one, but I quite enjoy a bit of pre-holiday planning. It usually involves a spot of shopping, putting a few outfits together and thinking about itineraries. 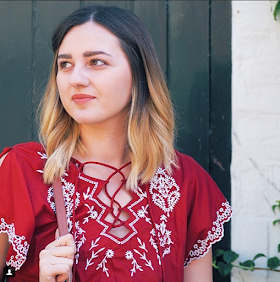 I recently hit the shops for a little splurge after realising I was missing a few essential getaway bits and bobs for our trip to Crete , so I thought I'd share them with you! First on my list was storage. I picked up a set of travel bottles from Tiger for a couple of pounds so I can save on weight and ditch massive bottles of shampoo and shower gel. 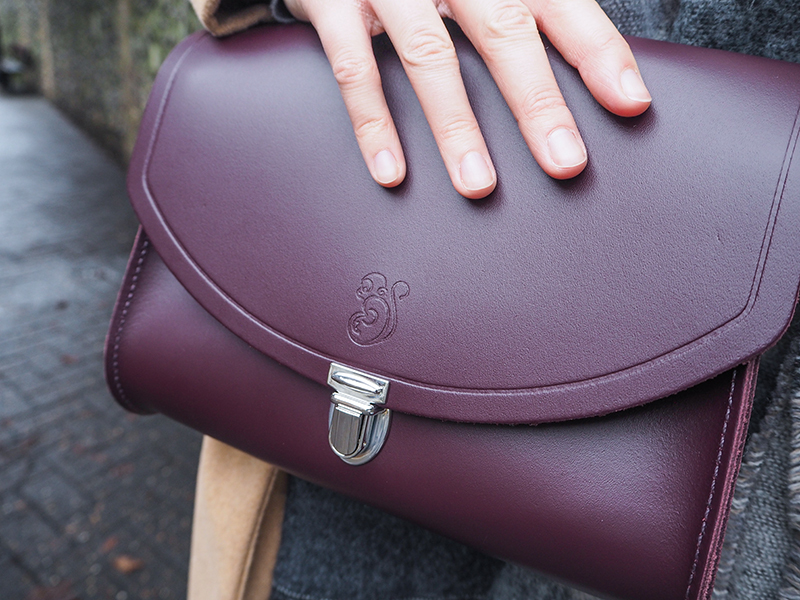 Then I spotted a triple set of toiletry bags in Primark in shiny copper and couldn't resist. Who doesn't love to be matching? Plus they were just £8! 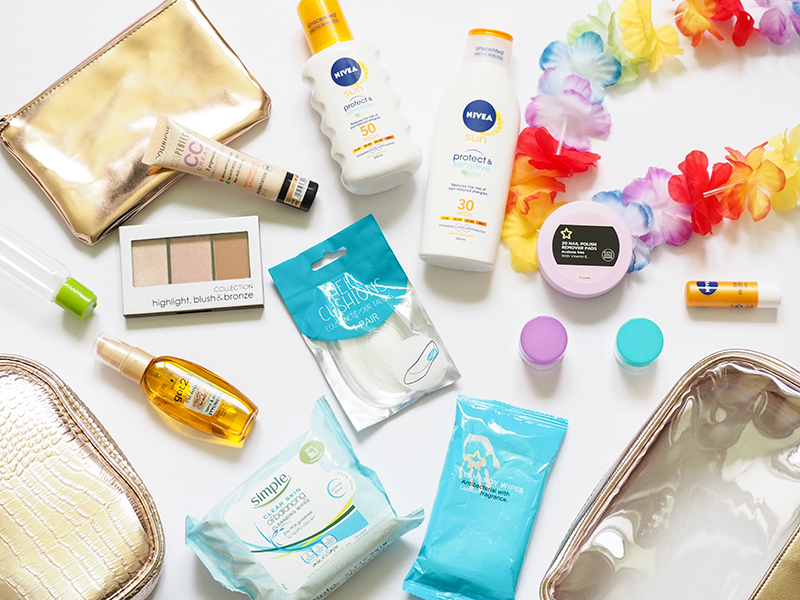 When it comes to summer holidays, it doesn't get more essential than SPF! 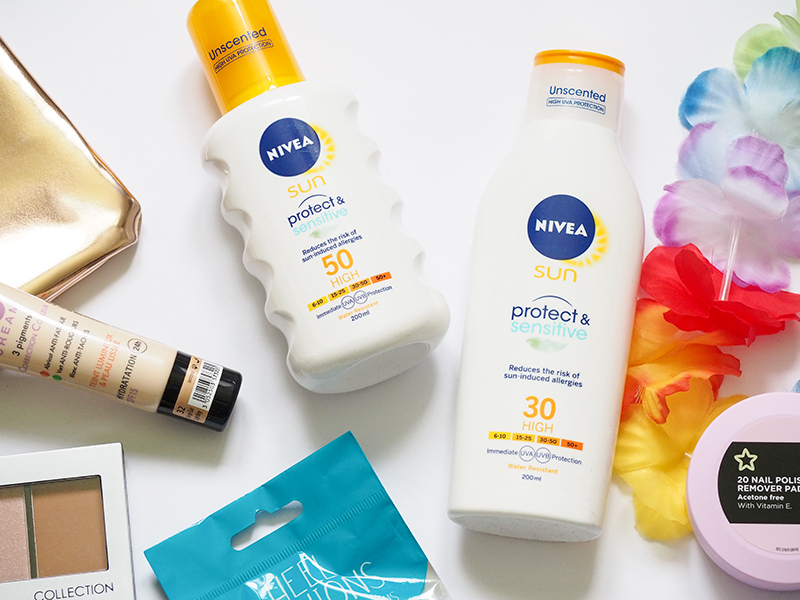 This year I've gone for Nivea's Protect & Sensitive range, to help prevent the prickly heat rash that seems to plague me when faced with a week of sunshine and swimming pools. I picked up some nail polish remover pads too - they do the job without weighing down your suitcase like a bottle would. And of course, no sight-seeing trip is complete without aching feet, so some heel cushions are also coming along for the ride. Makeup-wise I've also purchased my first ever CC Cream from Bourjois. I've been meaning to try one for a while and although it's a little heavier on the skin than I was expecting it's still lighter than foundation and I love the way it looks. There's an SPF of 15 in there alongside three different colour correcting pigments so I'll definitely be taking it with me! I picked up a mini palette from Collection too, that contains a highlight, blush and bronze in one. There's just no way I would take my gigantic Kat Von D one all the way to Greece with me. Last year I picked up a mini argan oil from Schwarzkopf at the airport on the way to Turkey and despite using it ever since there's still half left. It tames my hair despite the humidity, meaning I can leave other styling products and fancy masks at home for the week and let my mane drip dry instead. Now, I know that facewipes are something of a taboo in the beauty world, but when I'm away I just find them so convenient. 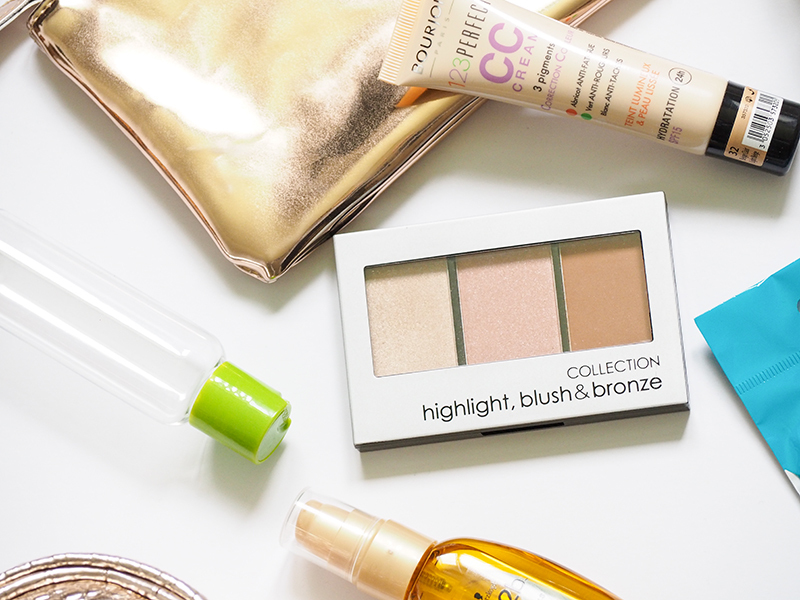 No annoying bottles of cleanser or muslin cloths required, just wipe makeup away and hit the hay! 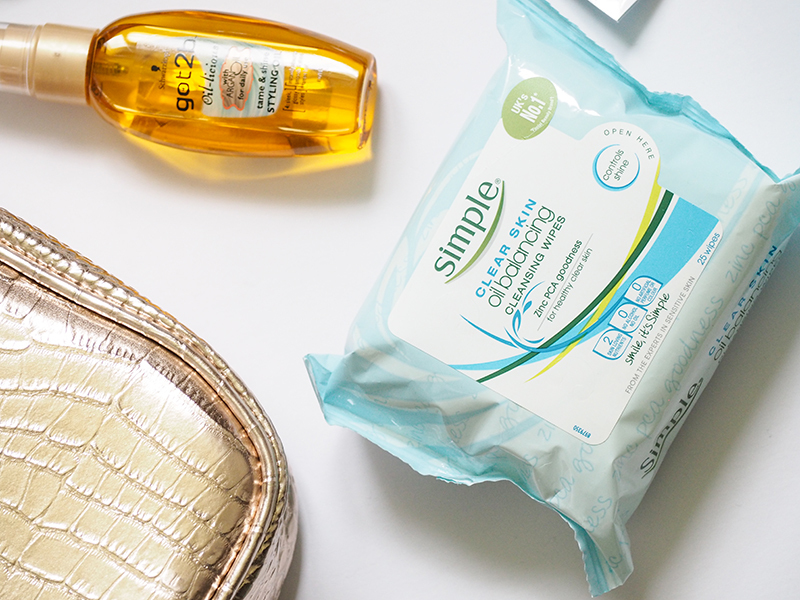 These oil balancing wipes from Simple really agree with my skin, helping to refresh it after hot and humid evenings. And lastly, I always pick up a pack of anti-bac wipes - great on the go (again, no pesky liquids) for messy hands and yucky seat-back trays on the plane.